It’s the one thing new Great British Bake Off is missing (and no, we’re not talking about Mary Berry): it’s Pizza Week. As any GBBO fan will know, each episode has a different bakery theme. In the past, we’ve seen everything from bread to botanical, Tudor to tart – but even Noel Fielding, who would surely jump at the chance to top up his tan *ahem* in Italy for the history feature, has yet to convince producers to stray as far as pizza. Perhaps some might consider it a step too far, but sweet pizzas have seen a surge in popularity recently, with Domino’s even adding a chocolate pizza to its menu this summer. 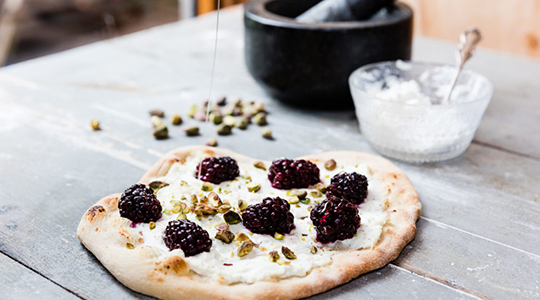 Here are 3 delicious dessert pizza recipes that we think proves this unconventional theme deserves a shot on Bake Off! 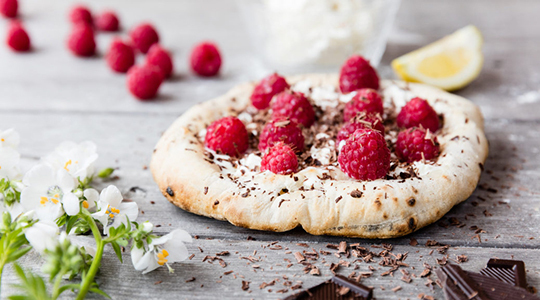 Effectively a raspberry and dark chocolate cheesecake on a pizza, to create this mouth-watering offering, bakers must first make the perfect pizza dough base, then shape the crust in such a way as to form a barrier for the filling. For the topping, start with a layer of lemon curd (homemade of course), then add the cheesecake-like filling, made from beaten Mascarpone cheese, vanilla extract and icing sugar. Cook the pizza (being careful to avoid the infamous soggy bottom!) and finally, top with raspberries and dark chocolate shavings. Mmmm…. Read the full recipe from Uuni here. 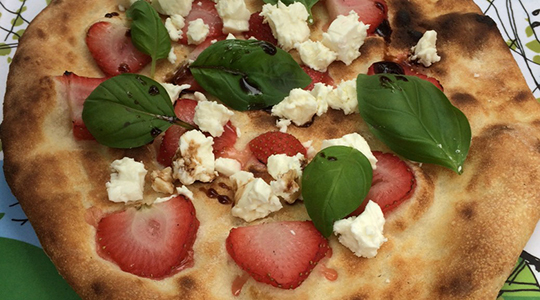 Originally created for Wimbledon, this delicious dessert pizza isn’t only for summer. Mixing sweet and salted flavours, this recipe calls for sweet strawberries, crumbled Feta cheese and fresh basil leaves, with a honey and balsamic vinegar glaze drizzled over the top – leaving just a little bottom exposed *cough*. Although the GBBO bakers could cook these in the ovens in the Bake Off tent, for best results, we recommend using a traditional wood-fired oven. All the above recipes were originally posted by Uuni, creators of the Uuni 3 Wood-Fired Pizza Oven, available from Cuckooland.